In the past, dentists frequently used a mixture of metals called amalgam in fillings. This mixture was the industry standard for the placement of fillings. Even today, dentists use amalgam fillings often, despite the fact that it is known to contain a dangerous chemical. This chemical poses significant health risks to our internal organs. So what is this chemical that is used so regularly inside patients’ mouths? The answer is mercury. Even today, trace amounts of mercury exist in dental amalgam. Many people live with dental amalgam in their mouths, unaware of the silent hazard lurking within them. Instead of letting mercury into your body, find a dentist who only uses amalgam-free fillings. What is a metal-free dentistry? A metal-free dentistry is any dental office that minimizes the use of dental amalgam in the placement of fillings. Dental offices do this to avoid exposing patients to mercury. It’s important to note that metal-free dentistry doesn’t exactly mean a dental office that is completely free of metals. In fact, a dentist’s very instruments are made out of different kinds of metal. Similarly, a small amount of aluminum oxide is included in both porcelain fillings and composite resin fillings. And on top of these two examples, the list goes ever on. Thus, for the average person, it’s important to understand that metal-free actually means free from dental amalgam and mercury. After all, many metals have found success in the dental world without being unhealthy, like the titanium posts used in dental implants. When looking for a metal-free dentist, you should be intent on the fact that the dentist does not use dental amalgam with mercury. Other metals used in dentistry do not pose the level of threat that dental amalgam does. Don’t hesitate to ask your dentist if they avoid the use of dental amalgam. If they do, you’re in good hands. The idea of a biological dentist is similar to that of a metal-free dentist. A biological dentist only uses biocompatible materials. Biocompatible materials won’t harm a person’s overall health, unlike mercury. Biological dentistry comes from a branch of dentistry in the mid-1980s. At this time, dentists attempted to treat oral health in a way that encouraged the body to heal itself. This origin of biological dentistry eventually gave way to metal-free dentistry. Because amalgam inherently damages the health of our organs, it isn’t consistent with these dental philosophies. Instead, biological and metal-free dentists use materials that empower the body’s immune system. The mercury in dental amalgam can have some serious effects on the body. These effects are both on the mouth, and on the body’s systems as a whole. 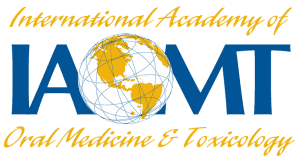 Although the ADA still considers dental amalgam a “safe dental material,” a growing body of research is showing the dangers of amalgam. Some naysayers have said that the amount of mercury in amalgam is too small to affect the body. However, since we chew with our teeth, mercury vapors are released from dental amalgam over time. These vapors flow right into our bodies through our mouth. 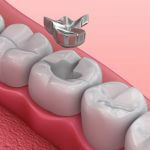 And because amalgam is made from metal, these kinds of fillings are at a greater risk of fracturing or breaking. If that happens, mercury vapor will surely be released. The most common alternative to dental amalgam is composite resin. 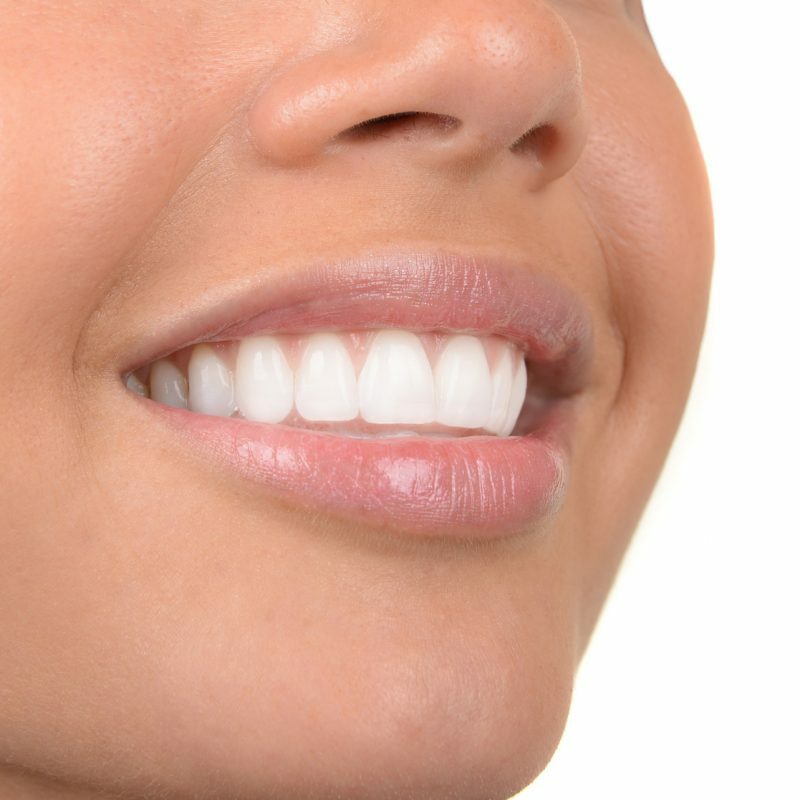 Composite resin is white and blends in perfectly with a person’s teeth. These white fillings are much better for you than amalgam fillings. They don’t contain any mercury at all. In fact, all of the materials used in white fillings are completely biocompatible. Good-looking. Compared to dental amalgam, white fillings are more aesthetic. They don’t draw attention to them like the shiny texture of amalgam. Instead, they’re white and blend right in with your teeth. Long-lasting. While amalgam fillings tend to expand and contract due to their metal, white fillings don’t. Because of that, white fillings last longer in most cases. They also avoid the risk of expanding and breaking your tooth. Mercury-free. Most importantly, white fillings are mercury-free. The composite resin in white fillings is made of completely biocompatible materials. It’s up to each individual to decide if replacing amalgam fillings is for them. Personally, we think it can be worth it to replace these fillings with mercury-free fillings. The risk that mercury poses to the human body is simply too great to ignore. Why is dental amalgam still used so widely? The ADA has still said that research is too inconclusive to rule that amalgam is unsafe. Because it’s slightly cheaper to make, dentists continue to use it. However, it also expands and contracts significantly more than white fillings. This is because amalgam is made out of metal, and thus conducts heat very efficiently. How does metal-free dentistry affect patients with a compromised immune system? An already-compromised immune system is placed at a greater risk in the presence of mercury. Our bodies can often resist the ill effects of mercury vapor. However, if an immune system is already compromised, the presence of mercury will make it work even harder to keep our bodies healthy. Where can I find a mercury-free dentist near me? Luckily for you, Nebraska Family Dentistry partners with a handful of locations throughout Lincoln. If you’re interested in seeing a mercury-free dentist, we can point you in the right direction. Click the links below to learn about that specific dentistry. To schedule an appointment with us, you can call any of the locations listed above, or you can use the form below. Whatever you do, avoid exposure to mercury, and keep your eyes out for the next set of wellness tips and tricks. 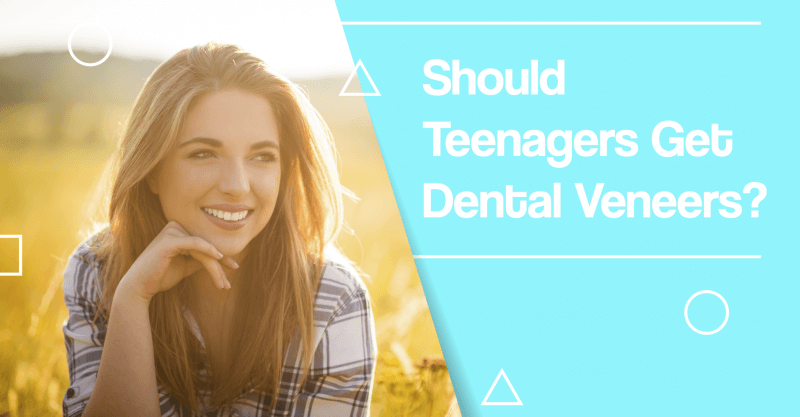 Should Teenagers Get Dental Veneers? Dental Veneers for Teens: Yes or No? Some dentists recommend avoiding getting dental veneers for teens. As teenagers grow, so do their teeth. In cases where veneers are placed on teeth that are not developmentally ready for veneers, it is possible for them to have awkward gaps and other problems as the teeth continue to grow. In this article, we’ll take a look at the benefits and risks of veneers for teens. There are many cosmetic options that may help your teen achieve the smile of their dreams. First, let’s learn a little more about veneers. 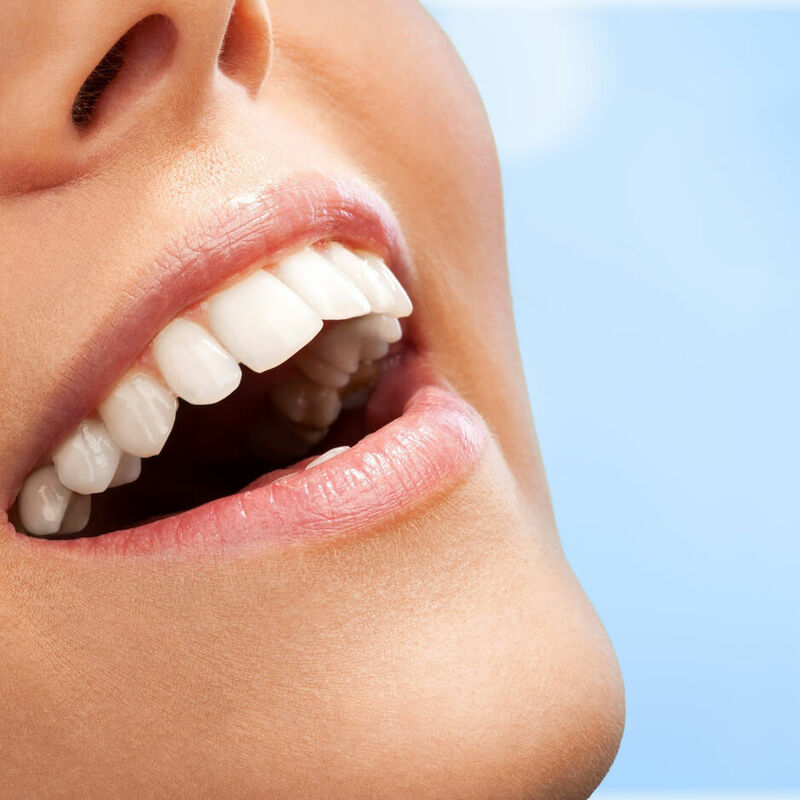 Dental veneers are thin, ceramic casings that cover the front of teeth. Veneers are a relatively old development in cosmetic dentistry’s brief history. While cosmetic dentistry has mostly only been around since the 1980s, dental veneers were actually created in the 1920s. Filmmakers used them to temporarily change the appearance of actors’ teeth. Shortly thereafter, dentists began using them as a temporary fix for teeth. Today, veneers are widely used to correct small flaws in a person’s smile. These flaws include gaps between a person’s teeth, discoloring, uneven teeth, and more. They’re highly beneficial in inspiring confidence for those who feel uncomfortable with their smiles. These small imperfections sometimes greatly influence a person’s daily life. By covering the front portion of a tooth, dental veneers can fix almost any cosmetic issue. So far, our teenage patients who have received veneers have been very satisfied. Dental veneers for teens can have a great impact on self-esteem as they begin forming their identities and confidence. What Problems Can Veneers Be Used For? Dental veneers are a common fix for many dental concerns. Since veneers look so similar to natural teeth, they are mostly used as a cosmetic option. Veneers can also be used to fix other functional issues with teeth. Below is a list of conditions that can be addressed with dental veneers. Veneers are often used to cover up cracks and broken teeth. When small chips or fractures occur on your teeth, sometimes dentists can repair them with fillings or by reshaping the tooth. In some cases, the tooth cannot be repaired by these methods and requires a stronger restoration like a veneer. Some people have gaps between their teeth. Veneers are custom-made to blend in naturally with the rest of the teeth. If there are large gaps between your teeth, veneers can be a great option to close these gaps and create symmetry. Veneers cover up discoloration and stained spots with a thin layer of ceramic tooth-like material. Over time, our natural teeth can become stained from coffee, tobacco products, red wines, and other foods. Dental veneers do not change color over time and are a great cosmetic option to maintain the brightness of your smile. The majority of kids and adults grind their teeth to some extent. Your cosmetic dentist in Lincoln, NE can custom-make veneers to protect teeth from excessive grinding that can cause long-term damage to the teeth. Sometimes teeth erupt unevenly regardless of whether there is adequate space in the mouth. In severe cases, this can cause problems with speech and chewing and requires traditional orthodontic treatment like braces. In some cases, your cosmetic dentist in Lincoln, NE can treat mild unevenness by placing veneers for patients who elect not to do traditional orthodontic treatment. 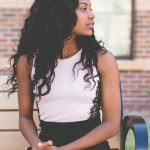 Are Dental Veneers For Teens Safe or Not? 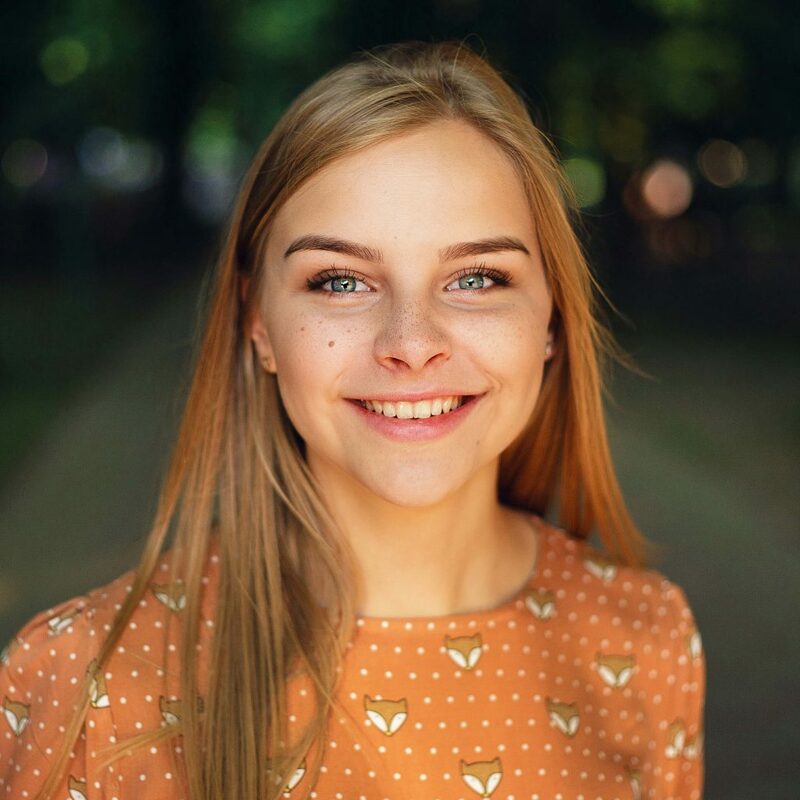 We believe that it is safe to place dental veneers on teens if your cosmetic dentist in Lincoln, NE is skilled at evaluating teeth and each patient’s situation. Each case should be evaluated individually based on the age of your teen and their growth and development. If a teen’s teeth are not ready for veneers, your cosmetic dentist in Lincoln, NE will identify this and let you know that it would be best to wait until their teeth are finished erupting. Our facilities use state of the art dental technology, and our team is highly trained. If you still aren’t sure about veneers, that’s okay! You can direct questions or concerns to any of our locations. We’re happy to talk to you about our process and decide if veneers are a good solution for your teen. We are happy to answer any questions you might have. However, we might be able to save you some time with the following frequently asked questions about dental veneers for teens. Lumineers are a specific brand of veneers. They’re highly reflective and tend to be slightly more illuminating than regular dental veneers. Lumineers are also slightly thinner than typical dental veneers. For teens, lumineers are often a great option. They are slightly more costly, but tend to last a long time and have amazing luminescence. If you’re curious about lumineers, be sure to ask your cosmetic dentist in Lincoln, NE about them. While you can’t remove dental veneers by yourself, your dentist can. However, it’s important to know that veneers will permanently change your teeth. When placing veneers, dentists usually reshape the patient’s teeth. They do this to better fit the veneers on the teeth. This means that most people with veneers have had trace amounts of their enamel removed, causing their natural teeth to appear dull, worn, and sometimes smaller. On the other hand, some patients elect to have veneers replaced. In this case, the dentist can remove the veneer, re-prepare the tooth, and replace it. Unfortunately, it isn’t possible to whiten dental veneers. The good news is that veneers are naturally very white, so you shouldn’t need to. If your veneers become severely stained, be sure to contact your cosmetic dentist in Lincoln, NE. They’ll be able to replace your veneers. Luckily for you, Nebraska Family Dentistry has convenient locations all over Lincoln! This guarantees that one of our locations is near you. Since each office is a Nebraska Family Dentistry partner, you can expect the same great care at all of them. 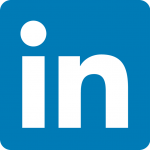 Searching for a dentist in Lincoln, NE or a dentist near me? We are confident that you can find everything you are looking for at one of our locations. Each of our locations is listed below. Call us today! 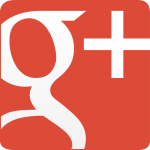 Follow our social media outlets for discount specials and dental wellness news. The results are in: being a parent is tricky business. Many of our team members know from experience. Making healthy school lunches is just one of many tough tasks for which parents are responsible. 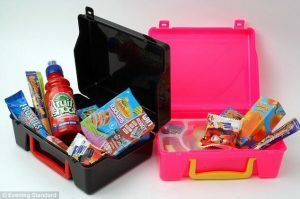 For many of us, we can barely find the time to make school lunches at all – how are we supposed to make them healthier? Educating yourself is the first step, and you’re doing that right now! Here at Nebraska Family Dentistry, we know that good oral health is a major component of optimal overall health. For that reason, we’d like to offer some information on why healthy school lunches matter. This school lunch has over 125 grams of sugar. While millions of dollars are poured into health solutions and research each year, Americans are still among the least healthy in the world. Whatever it is that makes us unhealthy seems to be silently lurking in the background. So what is it? You can probably come up a list of your own, but we know of one enemy in particular that hides in every American home. The sad thing? Most people already know how bad it can be, and it’s still wreaking havoc. We’re talking about something so common, you’ve probably had a considerable amount within the past hour. Sugar makes up a massive portion of the American diet. In spite of its deadly good taste, it is horrible for oral and overall health. A growing body of research has linked sugar intake to inflammation within the body. This inflammation affects our vital organs drastically. The following infographic contains a handful of facts that will put American sugar consumption into perspective for you. It was originally published at www.onlinenursingprograms.com (which is no longer a website) and was republished by Forbes. And parents: if you’re feeling guilty by this point, don’t worry! We believe you can change. And if you already know sugar is bad and are looking for solutions, there is more information beneath the infographic. Sugar is bad. We all knew that before, and now we’re simply more convinced. So what can you do? When it comes to keeping yourself healthy, positivity is key. Remind yourself that you’re living in the solution! As much as we harp on sugar, it doesn’t mean a thing unless we do something about it. 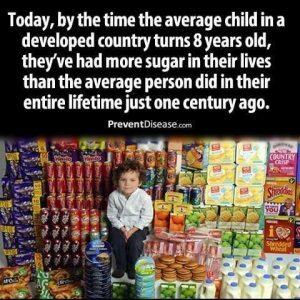 And while eliminating sugar is beyond the scope of healthy school lunches, it’s a huge step to just improve your child’s nutrition. Some of the most common problems with sugar come from juices, soft drinks, and candy. Avoid keeping these in the house and you won’t have the option to pack them in your child’s lunch. The occasional sugar splurge isn’t going to hurt you, but regular consumption might. Because of that, keeping it away from the house will help you avoid it at home. What are some common hidden sources of sugar in our kids’ everyday diets? Don’t be fooled by the name organic when it applies to sugar. Sugar is sugar, organic or not. All of the above names are names that can appear on labels, but they ALL mean sugar and ALL will cause the inflammatory effects in sugar when consumed in large quantities. While you’re at work, your child spends their entire day in school. For most children, lunch is the only meal they’ll eat at school. If that’s the case, healthy school lunches will have an enormous impact on your child’s nutrition. And if you want to have this impact, you’ll need to prepare a little. Pack lunches early, and you’ll have more freedom to make the most out of lunch. It doesn’t need to take long, but take the extra time to make fun, healthy snacks. Similarly, use your home to experiment a little, using the foods your child already likes. Having conversations with your child is an often-overlooked part of this preparation. Educating your kids is a helpful tool. And even if your child doesn’t take to your ideas at first pass, they’ll often agree in the long run. Be kind in your approach, and your information will go a long way! While it’s essential to have a general overview of basic nutrition, it’s equally helpful to have a few tangible tips. You can make your child any lunch you want, but that doesn’t necessarily guarantee that they’ll eat it. Here we’ve compiled some helpful tips from our team members that will you help make healthy school lunches a regular part of your child’s life. 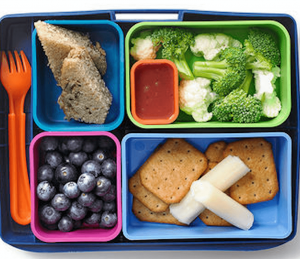 What foods will have less sugar and make healthy school lunches? Invite your kids to help you make lunch. It’s basic human motivation to be more invested in something you contributed to. The same principle applies with your child’s lunch. If you invite them to help you make their lunch, you’ll see two major benefits: 1. 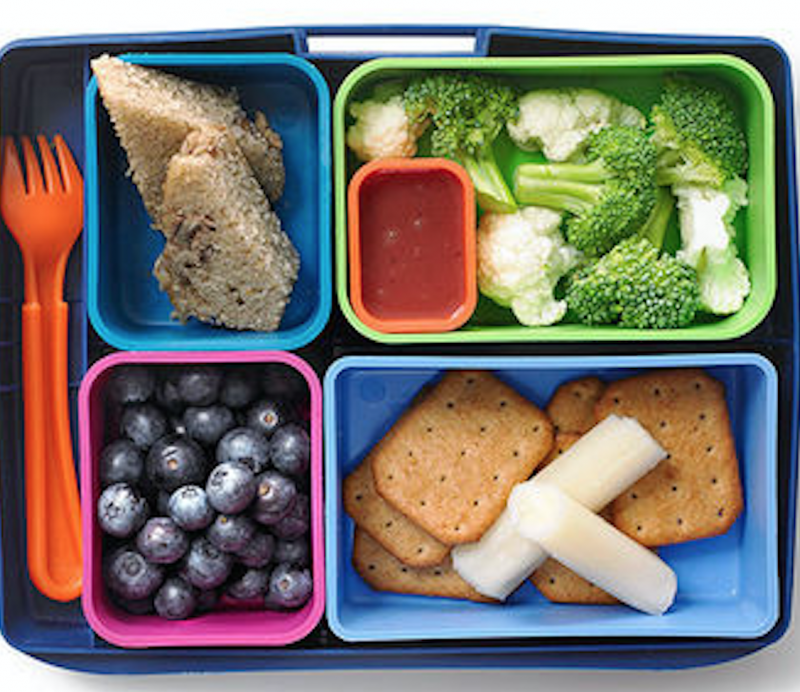 Your child will be much more likely to eat the foods they packed, and 2. They’ll learn how to pack their own lunches, saving you time as they grow up. If you give them options within the “healthy food” spectrum, they’ll choose the most appealing one and will actually eat their food. Download nutrition or meal-planning apps to supplement your knowledge. The modern world is full of resources that often go unnoticed. If you use a smartphone, you can look at the App Store or Play Store to see tons of nutrition-based apps. Apps like MyFitnessPal and FatSecret can help you count calories, sugar intake, and other useful nutrition facts in seconds. Browse the internet as a resource. While we’re on the topic of resources, be sure to check the web for healthy recipes. Today, more information is shared between people than ever before. Most of us haven’t gone a single day without scrolling through some kind of news feed and seeing recipe videos for clever food and drinks. Social networking websites like Pinterest and Facebook are a great tool. 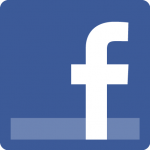 They’ll allow you to share your ideas, learn about others’ ideas, and the like. Use their potential as a tool to keep your kids healthy! 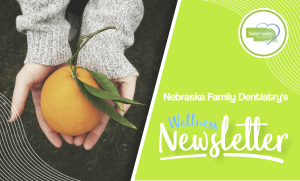 If you have any more questions about healthy school lunches, feel free to give us a call at 402-412-7141, or at any of our convenient locations. For more health and wellness tips, be sure to follow us on Facebook and Instagram! Parents have a tough task ahead of them. After all, it took a lot to get us to sports practices, to keep us working hard in school, and to help us learn the skills we need for adult life. When it comes to our health, some habits stick better than others. The world of dentistry has changed a lot from the time of our parents. 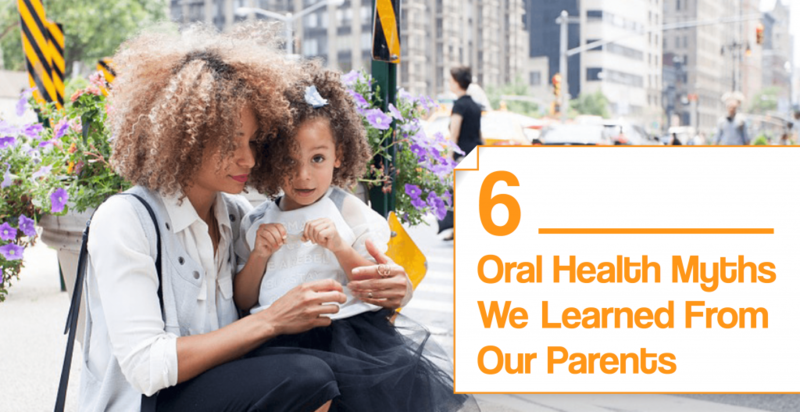 While it isn’t our parents’ fault, many of the oral health myths that stick around have since been disproven, and need to be addressed. It seems obvious to say, but everyone wants a pearly white, healthy smile. But not everyone who wants that kind of smile gets it. But how come? Let’s explore some of the oral health myths that are negatively affecting your bright white smile. 1. As long as my teeth don’t hurt, they’re fine. This oral health myth is a long-standing one. We tend to think of teeth just like other parts of our body – if they don’t hurt, there’s nothing wrong with them. On the contrary, our teeth need to be tended to more frequently than much of our body. If we lived by this myth all the time, our mouths would be full of hidden cavities, infection, and probably a good dose of bad breath. Instead, it’s necessary to brush twice a day, floss daily, and especially, to see the dentist at least twice a year for regular cleanings. During these cleanings, dentists will look through your teeth and make sure there are no issues. It’s entirely possible to have problems with your teeth without them hurting. That’s why a dental health professional needs to take a look and let you know your teeth are a-okay. 2. 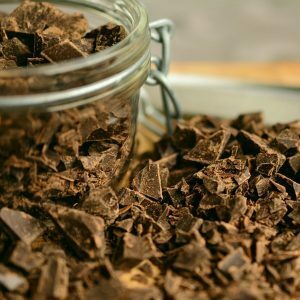 Eating chocolate causes teeth to ache. You might experience tooth pain when you eat sugar. Sure, that’s a common thought. But it isn’t the sugar that’s causing your teeth to hurt. Teeth aren’t supposed to hurt normally, and if they do, there’s something wrong. Dental caries, or cavities, are the cause of your tooth pain, and sugar is only accentuating that. If you’re used to feeling pain from eating sweets, it’s time to see a dentist. They’ll be able to get you fixed up, so you don’t have to get a toothache every time you eat sugar. 3. Teeth whitening damages your teeth. This oral health myth is courtesy of the sensitivity you experience after having your teeth whitened. We have to remember that teeth whitening doesn’t really cause this sensitivity. This sensitivity is caused by a lack of proper oral hygiene. Because of this sensitivity, many still believe the oral health myth that teeth whitening is hurting your teeth. But what hurts our teeth the most is a lack of proper oral hygiene! It’s important to make teeth-brushing a daily routine at night and in the morning. Brushing your teeth twice a day will help keep your enamel strong, clean, white, and ultimately less-sensitive. So when you go in for teeth whitening, you’ll be less prone to sensitivity! 4. I only brush my teeth in the morning, and my teeth are fine. This oral health myth is piggybacking on the last point. Many people grew up brushing their teeth in the morning, but not at night, or vice-versa. On the contrary, this doesn’t bode well for our teeth. Our teeth often hold many hidden problems, and brushing your teeth less will only worsen these problems. It’s never too late to change your habits, though! Even if this applies to you, don’t fret. Start working towards brushing your teeth twice a day and you’ll be impressed with yourself. While you’re at it, be sure to visit the dentist often to help keep you in check. 5. Milk is good for baby teeth, so I don’t need to check my child’s smile after giving them milk. Besides, they’ll have adult teeth coming in someday anyway. This oral health myth goes way back. 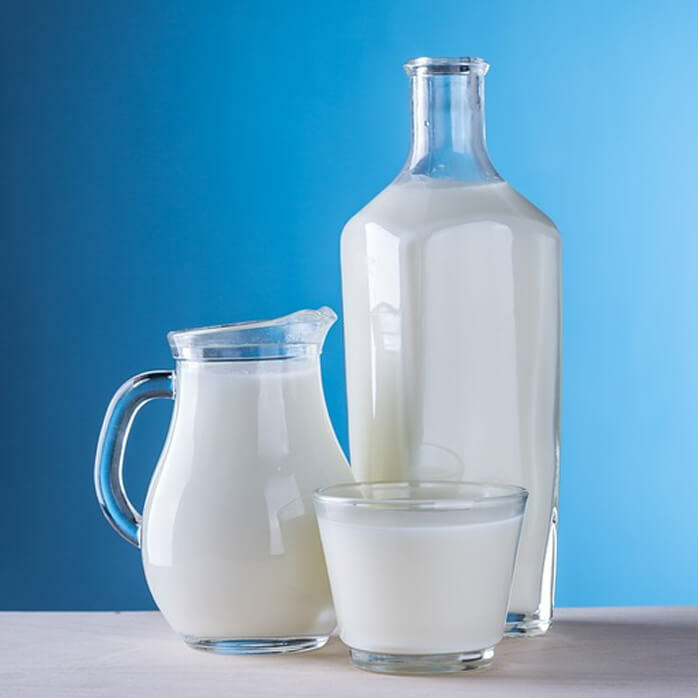 Because the calcium in milk is good for growing bones, many have applied this logic to our teeth. For a long time, parents have thought it unnecessary to check their baby’s teeth regularly as a result, as long as their children are drinking milk. But failing to keep a close eye on your child’s baby teeth can lead to future problems, even for their adult teeth. After a baby drinks milk, juice, or otherwise, it’s important to gently brush their teeth. This removes any plaque that might remain and ensures strong enamel. Improper care for baby teeth will lead to tartar and plaque growth on adult teeth. This could ultimately lead to extensive dental care, but can be avoided by keeping a close eye on your child’s baby teeth! 6. After having a root canal, my tooth isn’t threatened anymore. It’s tough to trace the roots of this myth. But it’s a big myth indeed. In a root canal, your dentist removes the nerve of your teeth. It seems that people think a “rootless tooth” is a healthy one. But this isn’t exactly the case. After a root canal, even with a crown, your tooth is susceptible to cracks and breaks. Although it may no longer hurt, it isn’t impenetrable. Take care of your root canal teeth by brushing regularly, flossing carefully around the crown, and seeing your dentist often. This will help you take great care of the tooth, avoiding future dental treatment. Save your teeth by correcting these oral health myths! Down the road, you’ll be glad you did. One of the easiest ways to correct these oral health myths is to come see us. Together, we can offer tips and tricks for keeping your teeth healthy at home. At your appointment, we’ll give you a comprehensive exam, and we’re also happy to offer free teeth whitening! Most parents can agree that bad breath in children is a fairly common concern. Maybe you worry that bad breath is indicative of poor oral health or that it will negatively affect your child’s social skills. In any case, you’ve come to the right place. Bad breath in children can have a variety of causes and solutions. Dr. Sydney Joyce, your family and children’s dentist in Lincoln, NE discusses these below. Bad breath, called “Halitosis” in the medical world, is a super easy fix if you know what’s causing it. But as it turns out, there are more causes of bad breath in children than you would imagine. In this article, we will explain various causes of bad breath in children as well as offer some solutions. Young children can develop sinus infections just like adults. Although a child’s sinuses aren’t fully developed until they become teenagers, the sinuses behind the cheeks and eyes develop before birth. Sinus infections cause mucus to drip down the back of the throat into the mouth, causing chronic bad breath in children. Tonsillitis happens when a child’s tonsils are swollen. Children often develop swollen tonsils due to infection, so many parents elect to have their child’s tonsils removed at an early age. The bacteria that causes these infections can also cause bad breath. To provide comprehensive care to our pediatric patients, we partner with ENT specialists at Ear, Nose & Throat Specialties. 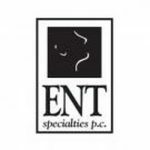 Find out more about Ear Nose & Throat Specialties PC in Lincoln, NE. When a child is dehydrated, there is inadequate saliva flow in the mouth. The muscles of the face and saliva work together during chewing to help clear away bacteria and food debris during eating. Dehydration reduces the saliva flow, allowing bacteria and food debris to remain in the mouth and on tooth surfaces, leading to bad breath and tooth decay in children. Children who breathe through their mouths often develop significant harmful bacteria in their mouths. Mouth-breathing causes dry mouth, which in turn can cause an increase of bacteria, ultimately leading to bad breath. Bacteria build-up happens naturally in our mouths. For kids, it’s especially common to develop bacteria on the back of the tongue. While some bacteria is natural and even beneficial, you may also notice that your child’s tongue has a thin, white film. This is the direct result of a build-up of bad bacteria. Most of the time this happens as a result of poor oral hygiene. Just like other types of bacteria in your child’s mouth, this too causes bad breath in children. Cavities tend to cause bad breath in children. When children consume a high volume of sugary foods and drinks, they often develop tooth decay at a young age. 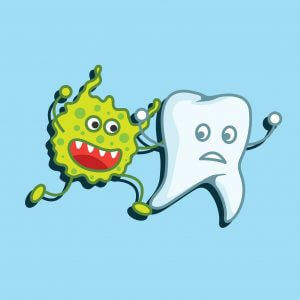 This is because the bacteria that lives in the mouth feeds on sugars and creates an acidic environment, slowly eroding away the enamel of the teeth and leading to tooth decay. Poor oral hygiene and diets high in sugar are the most common reason for cavities in children and adults. Your family and children’s dentist in Lincoln, NE can help screen your child for cavities and offer treatment to eliminate bad breath caused by untreated tooth decay. When a child has poor oral hygiene, gingivitis is another common condition. When the gum tissue becomes inflamed, and bleeds easily during brushing and flossing, it is a warning sign of the gingivitis. Teaching kids to brush thoroughly along the gum-line as well as regularly visiting your family and children’s dentist in Lincoln, NE for professional cleanings and oral hygiene advice will help to treat and prevent gingivitis. Although it’s not common, there have been cases of children accidentally lodging objects into their nose. When this happens, the objects tend to harbor significant amounts of bacteria. The bacteria tends to cause bad breath in children. You may have noticed that the vast majority of causes of bad breath that we have discussed are caused from an overgrowth of bacteria. Many types of bacteria flourish within our bodies, both good and bad. Significant amounts of harmful bacteria live beneath our tongues and within our throats. Research has established that this bacteria produces VSCs, or Volatile Sulfur Compounds. This can significantly contribute to malodor in the mouth. Which kinds of bacteria cause bad breath in children? Anaerobic bacteria is the primary cause. This bacteria is most commonly linked with infections in the human body. They occur semi-naturally from foreign particles in wounds and unclean parts of a person’s body. This means that it is entirely natural for anaerobic infections to develop in our body. While it is natural, it isn’t necessarily good. Anaerobic infections happen in our mouths because of the buildup of plaque, which, while natural, is harmful for our teeth. This is why it’s important to regularly see our family and children’s dentist to help keep our oral health optimal at all times. As a side note, taking antibiotics can actually decrease the amount of good bacteria in a person’s mouth. This too can cause bad breath. You can take probiotics to prevent bad breath associated with taking antibiotics. Learn more about how to choose probiotics here. Many parents ask about bad breath in children. 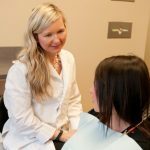 Your family and children ‘s dentist in Lincoln, NE Dr. Sydney Joyce answers CAQs. There are a few things kids and parents can do to eliminate bad breath in children. First, here are some of the most common questions associated with bad breath that we hear in our office. What can bad breath be a sign of? Bad breath can be a sign of gingivitis, tonsillitis, dehydration, tooth decay, infected teeth, poor oral hygiene and many more topics discussed above. It is a good idea to practice great oral hygiene as well as visit the dentist regularly to keep the mouth healthy. In addition to this, making sure you are aware of any chronic conditions like allergies, tonsillitis or dehydration or stomach problems your child may be experiencing. Your children’s dentist in Lincoln, NE can work together with your child’s primary care physician to keep them as healthy as possible. Can bad breath be cured permanently in children? For the most part, the answer is yes, however, for children who suffer from chronic problems like allergies and dry mouth, it is possible that seasonally they may experience more problems with bad breath. Making sure the mouth is healthy by visiting your children’s dentist in Lincoln, NE regularly, practicing good oral hygiene and staying hydrated and healthy can help reduce bad breath. What’s the best toothpaste for bad breath in kids? Toothpaste is helpful in masking odors with a minty flavor, but the reality is that if the bad breath is related to gingivitis or tooth decay, the real cure would be treatment of these conditions with your children’s dentist in Lincoln, NE. 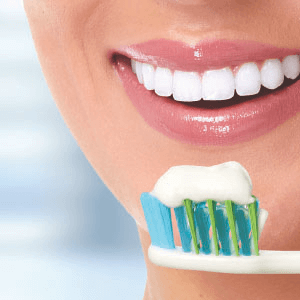 Practicing good oral hygiene and using toothpaste daily can help reduce the incidence of cavities, but the main purpose of toothpaste is to create a lubrication for efficient brushing and mechanical removal of odor-causing bacteria. What is the best way to get rid of bad breath in toddlers? Brushing twice a day, flossing and seeing the dentist regularly will help control any bacterial growth on the teeth and prevent and treat cavities and gum inflammation. If this is not enough to get rid of the bad breath, consider making an appointment with the child’s doctor to check their tonsils and sinuses for infection or inflammation or stomach for acid-reflux issues. Dental conditions can arise even when your child is still a baby or toddler. One of the most commonly asked questions in our office is when children should start seeing the dentist. You can start bringing your child in for exams when their teeth begin to show, around the age of 1. As explained earlier, oral hygiene can play a huge role in the likelihood that your child may be suffering from bad breath. Taking your baby to the dentist is a good start in getting great advice from your family and children’s dentist in Lincoln, NE for good home care and will help rule out tooth or gum-related causes. Oral hygiene is a major part of controlling bad breath. Practicing good home care will help reduce the growth of bacteria in the mouth that causes bad breath in children. When a baby’s first tooth arrives, you can begin brushing by wetting a soft child’s toothbrush and putting a tiny dab of toothpaste on its bristles. You can also softly brush your child’s gums and the front part of his or her tongue. Be careful to brush very gently, as it doesn’t take much to irritate a baby’s mouth since they are not used to brushing around the soft tissues of their mouth. Leaving a bottle in your baby’s mouth as they go to sleep is directly correlated with tooth decay. Milk or juice contain sugar and can collect in your child’s mouth as they sleep, feeding the bacteria in their mouths. The best way to avoid this is by using water at bedtime instead of milk or juice. Because of the large number of potential causes of bad breath in children, it can be difficult to determine the cause of your child’s specific case. Oral hygiene can certainly help with bad breath in children, but it isn’t always the only solution. Here are some steps you can take to eliminate bad breath in children. 1. Make sure your child is drinking enough water. Kids are often much more active than adults but are not always in tune with their bodies. The recommended amount of water a child should drink per day varies based on a few factors, but it is generally recommended that children drink around 6 cups of water per day. As they grow, this quantity should increase. Pay close attention to how much water your child is drinking throughout the day. This will help to keep their whole body hydrated and producing adequate saliva to help protect the teeth from overgrowth of harmful bacterial plaque. 2. Help your child with oral health and home care. It is possible that your child’s bad breath is not from poor oral hygiene or dental-related causes, but in more than half of cases it is the main cause. Parents should assist young children with their oral hygiene each day, brushing twice daily and flossing once daily. 3. Encourage probiotics at home. Taking probiotics can help promote healthy growth of good bacteria which will help your child’s immune system defend itself against illness. Having balanced gut bacteria helps promote overall health. Probiotics are easy to incorporate through various food sources your child already eats. Foods like yogurt, pickles and other fermented foods contain natural probiotics. 4. Bring your child to the doctor. If it seems like there may be an underlying health issue behind your child’s bad breath, don’t hesitate to take them to their physician for a checkup. 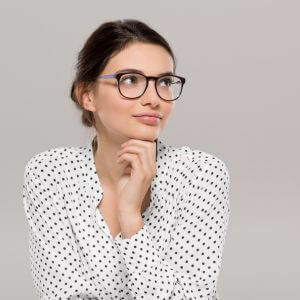 Chronic problems like sinus infections, tonsillitis or foreign objects in the nasal passages are all issues a medical doctor can help diagnose and treat with medication or surgery. You can contact your family and children’s dentist in Lincoln, NE if you aren’t sure why your child has bad breath. If you aren’t sure what dentist or location would best fit you needs, search for “dentist near me” and one of our locations is sure to have what you are looking for. If you have questions about children’s oral health, please don’t hesitate to contact us. We are happy to help you keep your child healthy and happy. We can also help you determine causes of bad breath or address other dental concerns you may have.